Monitoring employees’ sounds like something those companies would do that don’t trust their workforce. Therefore, the bosses feel the need to monitor the workers; however, this isn’t based on fact. Employers don’t think negatively about their workers when they decide to monitor their computers and other devices; they are just thinking about the multiple benefits of employee monitoring, not just for the company, but also for the workers themselves. Monitoring employees is an excellent way for employers to watch for errors or mistakes that may be made by the workers during a regular workday. This allows them to bring the error to light in front of the employee or discuss it during their performance review. Apart from that, the pattern of errors can also be studied to aid the employee in cutting down their mistakes in the future and improving their productivity. Employees want their employers to acknowledge and appreciate their strengths and employee monitoring makes it quite possible and practical. Keeping an eye on the work that’s being done enables an employer to get a detailed overview of how the employee is working and the effort they are making to do it in the best possible way. Moreover, when you acknowledge the excellence of an employee while monitoring, it may reduce the trust issues they may have due to monitoring. They may become accepting of this procedure once they realize that it isn’t solely in place to capture their mistakes or to spy on them. Employees may knowing or unknowingly commit safety infractions while they are at the workplace and the ideal way this can be detected and prevented is to monitor them. The safety issues don’t just have to be present physically; they can also be virtually i.e. while the employees are working on the internet and their security is compromised in some way. This also keeps the employers safe from any potential lawsuits. When management isn’t around, dishonest employees or those who think they are above the rules, may decide to break them. Thus, employee monitoring allows a business to catch those workers who don’t follow the rules and decide to violate the policies willingly so action can be taken against them immediately and further damage can be prevented. 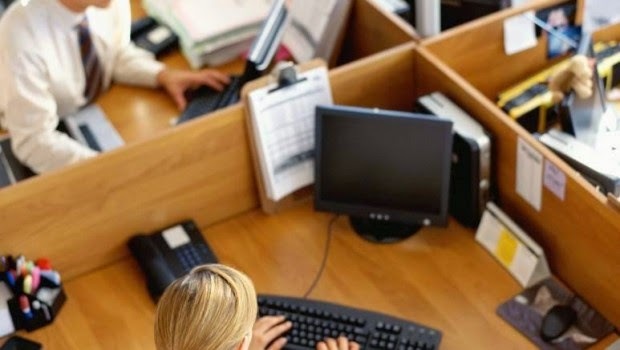 Last, but not least, employee monitoring can also give productivity a boost as bosses are able to identify the weak spots of their workers and get rid of them so they are able to work better. The problem is that it isn’t possible to monitor employees without offending them unless you opt for Spytector. This is an easy-to-use and invisible keylogger that cannot be detected even by an anti-virus program. More details on www.keylogger.net. This means that there is no chance that it can be located by an employee and then deleted by them. Likewise, because they don’t know of its existence, they will not be able to find a way to circumvent its monitoring and employers will have complete access to whatever work the employees are doing on their devices on the company time and using its resources.